7th Central Pay Commission recommended the new pay hierarchy structure for all group of central government employees and officers from January 2016. It is called ‘Pay Matrix Table’. 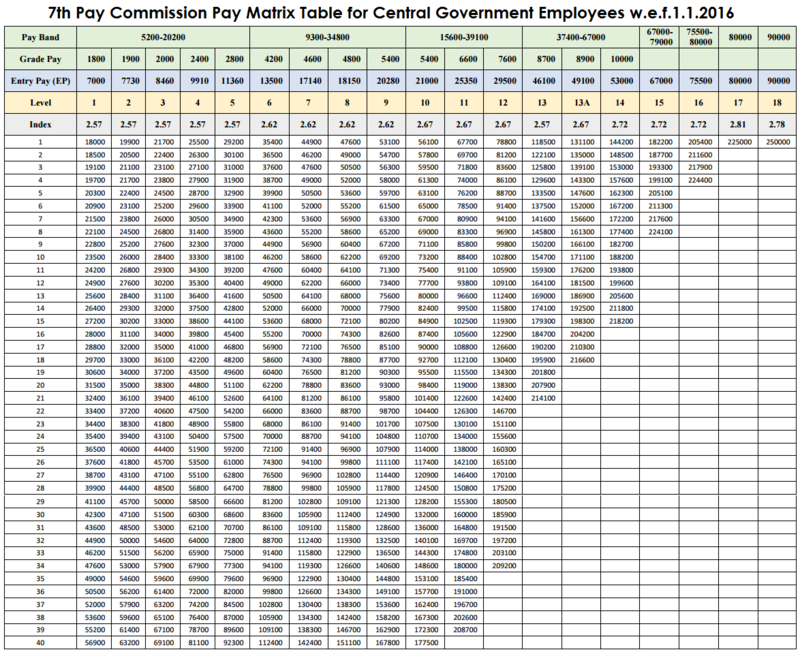 The first Pay Matrix Table was recommended by the 7th CPC and Government of India accepted the recommendation and published in the Gazette Notification on 25th July 2016. And the Government of India has decided to revised the Level 13 in the Civilian Pay Matrix and issued a fresh Pay Matrix Table published in the Gazette Notification issued on 16th May, 2017.